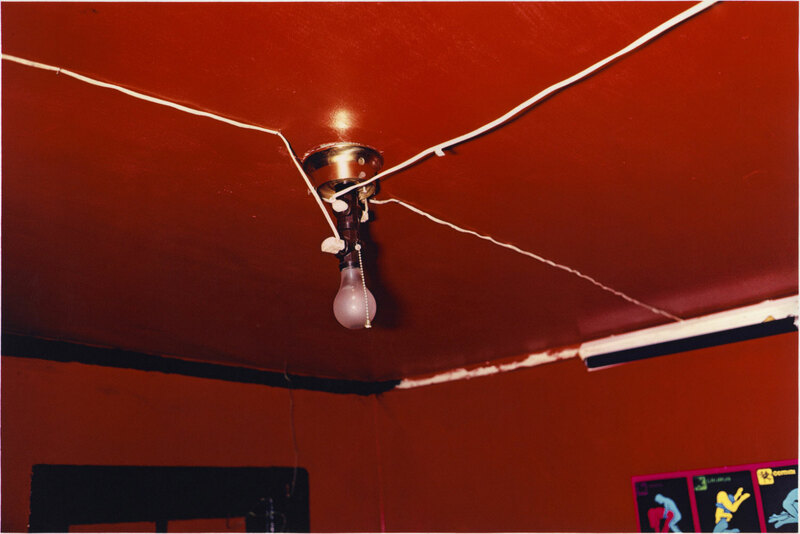 When William Eggleston made this photograph, the saturated palette of the dye transfer printing process was associated with advertising rather than fine art. Eggleston’s Greenwood, Mississippi transforms base subject matter—here, a seedy brothel—into a spectacular composition of color and line. At the same time, the glistening red of the dye transfer print is a palpable metaphor for sexual sensation.